When we are looking for a pre-owned vehicle, we want to be certain that we will get a used car or SUV that is reliable, safe and durable. 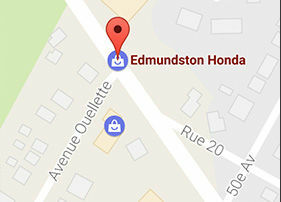 That's why at Honda Edmundston in New Brunswick, we strive to ensure that the pre-owned Honda vehicles that we offer, as well as the used vehicles from other brands including Toyota, Chevrolet, Ford, Nissan and Mazda, are both inspected and certified. Our team of pre-owned sales representatives at Edmundston Honda will continually strive to ensure your complete satisfaction. We know that buying a pre-owned car can sometimes be a bit of a hassle, and that's why we treat every customer who is looking for a pre-owned Honda vehicle with respect and courtesy. Once you have found the Honda vehicle of your dreams, we offer affordable and flexible financing solutions including second and third chance credit financing customized to your needs. 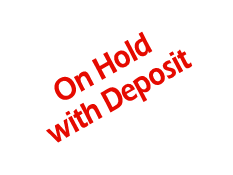 For more information on pre-owned Honda vehicles, please contact us today at Edmundston Honda located at 475 Victoria Street in Edmundston in New Brunswick, or contact us by phone at 1-844-463-3910 or online using our contact form. 2013 Hyundai Elantra GL - Low KM's! A/C! 2.0L engine! low Mileage! 2016 Chevrolet Cruze L - Low KM's! Turbo engine! Heated Front Seat USB! 2018 Chevrolet Cruze LT - Low Km's! Twinturbo engine! xDrive AWD! Leather! Auto Start! Leather! Heated Seats! Backup Camera! 2018 Honda Civic Hatchback Sport - Very Low Km's!